Yesterday marked the launch of Starbuck’s second and largest Reserve Roastery not too far from our Shanghai office. You could argue this new concept is the second coming of Starbucks who enjoys massive visibility globally and in particular in China. Howard Shultz is wise to the life span of his brand defined by the industry “S” curve of rapid growth, sales plateau and slow decline by reinventing his company into a micro factory. This massive factory covering 30,000 square feet immersive experience pays as much tribute to the history of coffee as it does to the craft of roasting and brewing coffee. From the three story copper kettle to the unique design of its ceilings and fixtures, this new Reserve Roastery redefines the coffee experience and reinforces the company’s leadership role in the industry. We have learned most transformation projects are driven by inspiration derived from other industries, and specifically in the case of the Reserve Roastery, the micro brewery growth segment such as Goose Island Brewery or our very own Alexander Keith’s Museum launched more than a fifteen years ago. The Reserve Roastery by its very descriptive name harks back to the distillery and micro brewery linguistic metaphors. From the link to the three story copper pot which is iconically placed in the Starbucks immersive centre and the Alexander Keith’s Museum speaking to the craftsmanship nature of fabrication in addition to reinforcement the location is a place where manufacturing happens. The immersive experience in both the Reserve Roastery and the Keith’s Museum reinforce a strong brand story narrated throughout the customer journey, adding rich context to the emotional appeal of the brands being promoted and a great context for sharing with friends. Food in both experiences play a critical role as part of the social fabric binding the story, product with a social experience, key ingredients in creating a strong belonging experience. 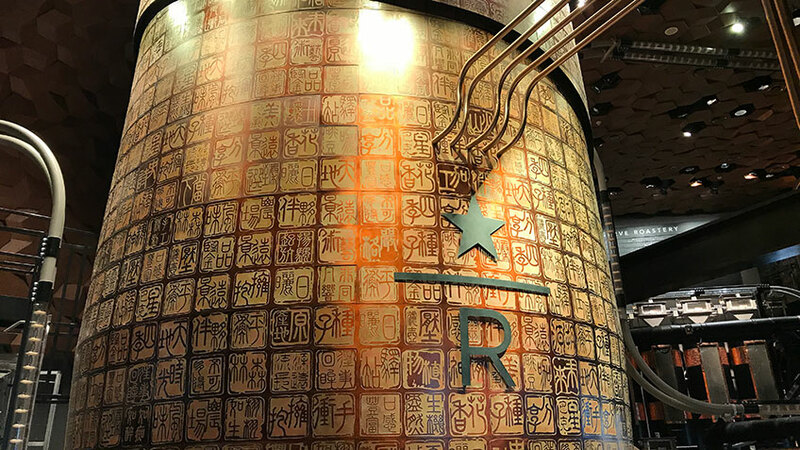 The Starbucks Reserve Roastery is a great example of borrowing visual metaphors and narrative stories found from other industries, leveraging consumers learned behaviours and brand associations as a platform in creating an immersive emotionally rich brand experience. This trend follows other great brands such as the Mercedes ME centre in Beijing with its two floor cafe digital and physical experience. Selling brands has just become much more exciting and immersive.